PLEASE READ THIS INFORMATION BEFORE VIEWING DETAILS OF THE CATS AVAILABLE FOR DIRECT HOMING AT THE BOTTOM OF THIS PAGE. As a small branch, we can only take in a small number of cats and place them with our volunteer fosterers, and we always have a waiting list. However, our branch can assist people needing to rehome their cat via a 'Direct Homing' service, where CP will act as an intermediary for people needing to find a new home for their cat. This is sometimes referred to as a 'private adoption' as it is up to the current carer to decide whether the potential adopter will provide a good home and properly care for the cat. The current owner continues to look after the cat until an adoption takes place. We feature the cat on our website and Facebook page, and will provide as much information as we have available from the current owner. Please note, we make no claim to have accurate knowledge of the cat, its health, vaccination status and whether it is neutered or micro-chipped, etc. If the adoption sadly does not work out for any reason, we at Chiltern Cats Protection are not obliged to take the cat into our care, but we would of course offer advice where possible. Cats’ details will stay on our website until we hear/establish that the cat has been rehomed or other arrangements made. There are no adoption fees for this Direct Homing Scheme, but if either party wants to make a donation to the branch, this would be much appreciated. We suggest that the carer ensures they have the full name, address and contact details of the adopter so they can check whether all is going well post-adoption. 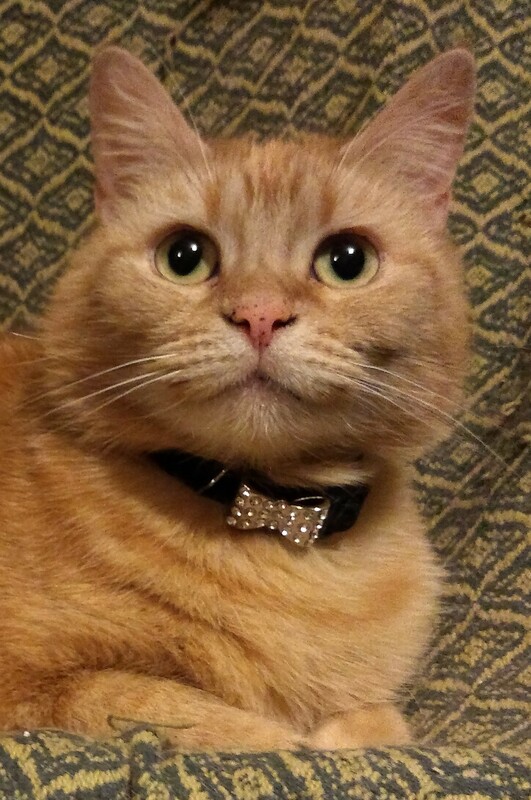 Paloma is a 7 year old neutered, fully vaccinated, microchipped ginger female cat. She is not a very lively girl and she doesn't seem to have good road sense, so she would suit life as an indoor cat, or a cat living on a quiet cul du sac. She is very affectionate to people once she gets to know them. But she is not getting on at all with one of her current owner's cats, which is why she is sadly looking for a new home. Because of this she should not be homed where there are other cats. Quietly behaved dogs might be tolerated. It might also be wise to avoid very young children, but those old enough to approach cats appropriately would be fine. Raven is a beautiful 11 year old, neutered female with no known medical conditions and she is looking for the love of her life. 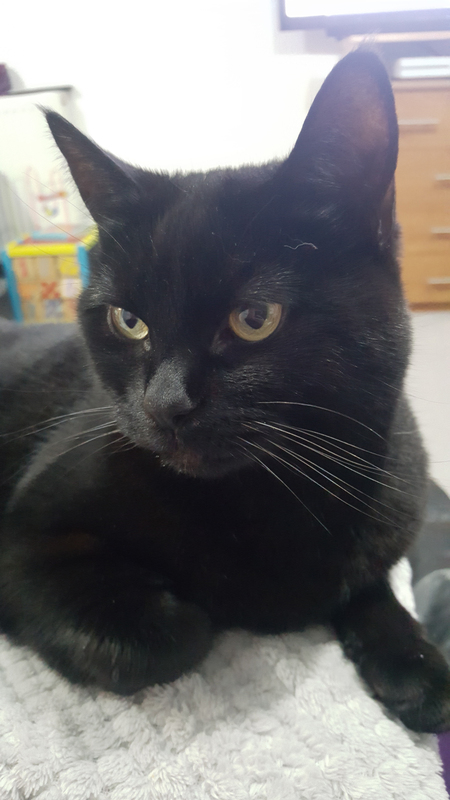 She is a calm and affectionate cat who just wants a lap to sit on, and a gentle hand to stroke her soft and silky black fur. Sadly Raven has become very afraid of her family's small children, and the noise and bustle of the house has led to her spending her days feeling very unhappy and hiding herself away. Raven loves to play with shadows cast on the wall, she does enjoy a bit of catnip, and is a fan of trying to rub all over your legs when you get out of the shower. She is a wonderful, sweet and sensitive cat who has always lived indoors, and would like a home either without children or with grown up children where she can finally relax. Her family are heartbroken to give her up but they know in their hearts they cannot give Raven what she needs to be truly happy and that is all they want for her. 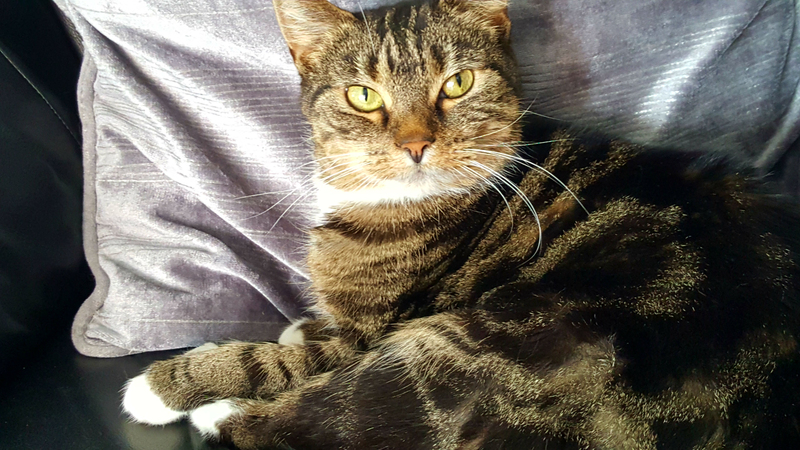 Luna is a fun-loving 11 year old neutered female tabby with no known medical conditions, who you could easily mistake for a kitten due to her love of life and toys. Luna loves to play, and a bit of string on a stick is her idea of heaven. She is incredibly friendly and will talk to anyone who comes into her home, often - it appears - to demand strokes and when she purrs she whistles! Luna loves cuddles and enjoys a nice belly rub when she has got to know you, and is an Olympic grade paddy pawer. She is a gorgeous, fun and very loved member of a family, who know it is in her best interest to be given the chance at a new home where she will be able to have access to a garden. She will be missed terribly but her safety (away from a busy road) and happiness means everything to her family, and they want what is best for her even if that means they are no longer in her life.